Features with press stud button, single breasted, dinosaur shaped,hoodie, dog clothes. 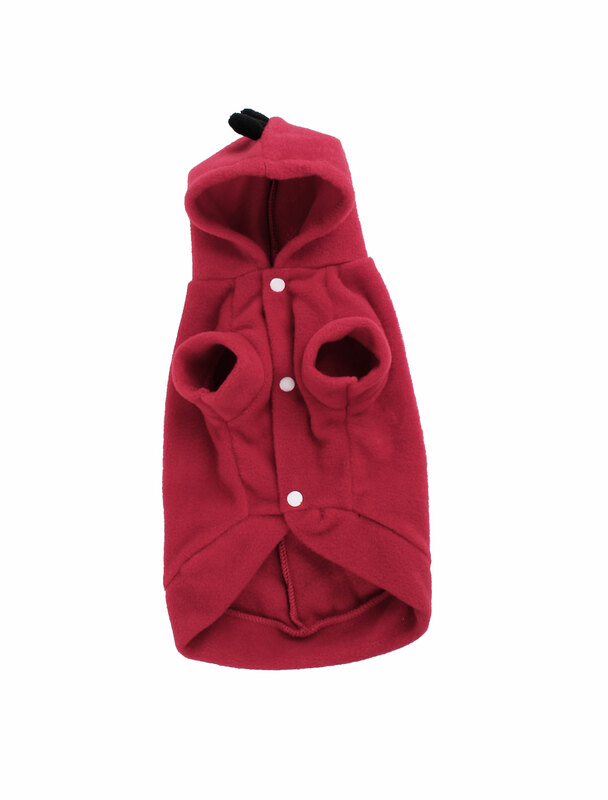 This dog jacket coat is Red and size XXS. Size available are XXS, M, L.
Please contact us if you need one which is in the below size chart. Material : Fleece;Neck Girth : 20cm /7.9"
Chest Girth : 25cm / 9.8";Length : 20cm / 7.9"